Days after Grand Traverse County commissioners called for more transparency from Cherry Capital Airport officials, Traverse City commissioners echoed the county's frustrations – with Commissioner Brian McGillivary describing the city and airport’s relationship as “adversarial” and suggesting the city take back property it previously gave up for airport operations. A confidential memo from City Attorney Lauren Trible-Laucht – which commissioners voted to make public Monday – advised that while Cherry Capital Airport resides within city limits, the airport is exempt from the city’s zoning ordinance when carrying out aeronautical activities. Airport officials have stated that tree cuttings on the property are to remove obstacles and wildlife that could interfere with airport operations and safety. Trible-Laucht’s opinion is identical to one given to Grand Traverse County commissioners after they also inquired about the tree cuttings. Though Grand Traverse and Leelanau counties co-own the airport property, the Northwestern Regional Airport Commission oversees airport operations and can make decisions based on federal rather than local regulations. But as with county commissioners, city commissioners argued that regardless of their power to act independently, airport officials should have been more forthcoming with the public and municipal partners before they began clear-cutting trees. “I’m a little disappointed with the airport’s heavy-handedness,” said McGillivary. “I’m disappointed in the airport’s no longer wanting to be a partner in this community, but just (wanting) to do whatever the airport wants to do.” Commissioner Roger Putman agreed, saying that while he serviced aircraft in the military and believes “there’s nothing safety should take second place to,” he didn’t think all of the tree cuttings on airport property were necessitated by safety concerns. Noting that Traverse City previously gave Grand Traverse and Leelanau counties land for the airport, McGillivary told commissioners he plans to ask at an upcoming meeting “that the city investigate whether or not we should invoke the reversion clause of that deed restriction.” He continued he was serious in wanting “to look at taking back” property no longer being used for airport purposes, “since they don’t seem to want to play nice.” McGillivary also said he no longer wanted Airport Attorney Karrie Zeits to fill in for Trible-Laucht as city attorney when Trible-Laucht is absent – as Zeits has done previously – saying it would give Zeits access to privileged city information. “We’re in an adversarial relationship right now with the airport,” McGillivary said. Multiple commissioners warned they were prepared to put up a fight over future airport plans to cut tall trees at the city-owned Oakwood Cemetery for safety reasons. “That cemetery has been there since 1861…I’m just appalled at the idea of the airport going in and using their cut-it-all-down tactics on our cemetery,” McGillivary said. He indicated he would rather force the airport to sue the city over the potential tree cuttings than cooperate with the request. “I am hoping that this attention…will make them pause about even scheduling the appointment about discussing the cemetery (with city staff),” said Commissioner Amy Shamroe. At their meeting, commissioners worried that lingering uncertainty over whether or not Traverse City will pass a tree ordinance is prompting developers to proactively clear trees to avoid future restrictions or penalties. “People around here – developers, property owners – have reacted quickly, and they are just chopping trees down,” McGillivary said. “And they’re going to continue to do that, because this is always going to be out there until we act quickly and do something about it.” McGillivary argued the city should move expediently to enact rules protecting trees from development in the short term, then work on a more detailed tree canopy ordinance that would outline the city’s goals and funding commitments for expanding its tree population in the long term. The Traverse City planning commission will take another stab at the tree ordinance at an April 16 meeting. 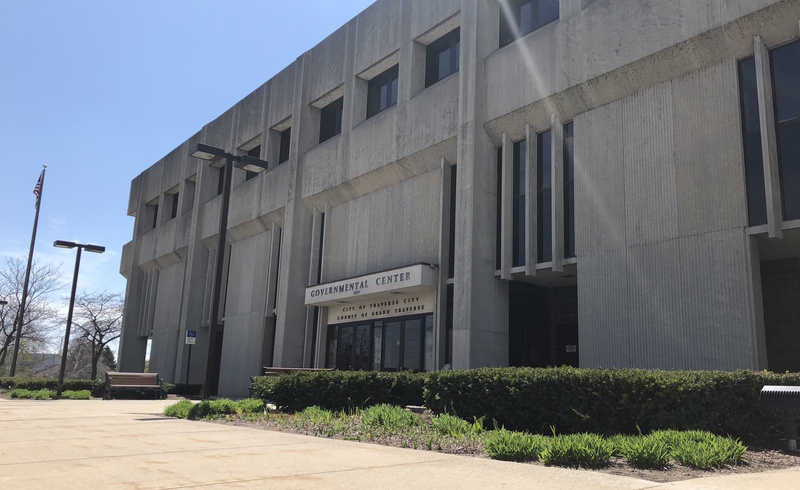 Ahead of that meeting, planning commissioners sought direction from city commissioners Monday on the direction the policy should take and what the city commission wanted to see included in revisions. Shamroe said she hoped to see balanced regulations that would consider private property and business impacts, but also include adequate protections for trees, particularly along waterfronts.